A manufacturer of therapeutic rehabilitation products for overweight individuals, including bariatric and other obese patients, had developed new technology to better serve this population. Designed by therapists for therapists, the company’s products helped its multitiered market of patients, therapists, and administrators of rehab departments in skilled nursing facilities (SNF) and hospitals. Clients who used the products were raving fans, yet sales were limited. The story had to reach a wider audience. 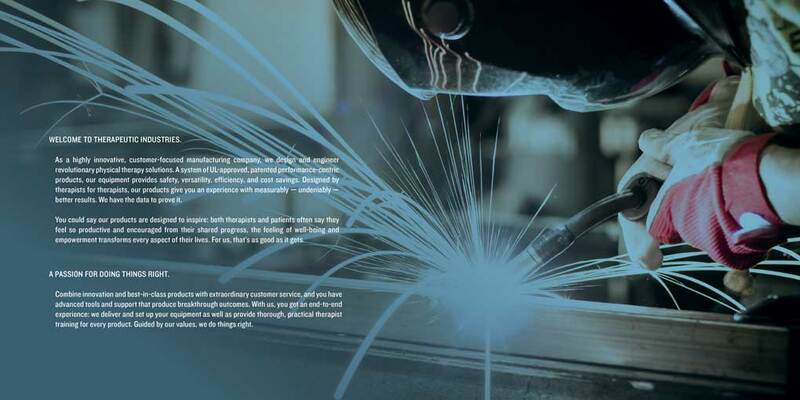 We refined the client’s significant “only” positioning and developed marketing materials, showcasing its impressive line of products with a high-quality marketing piece (digital and print). 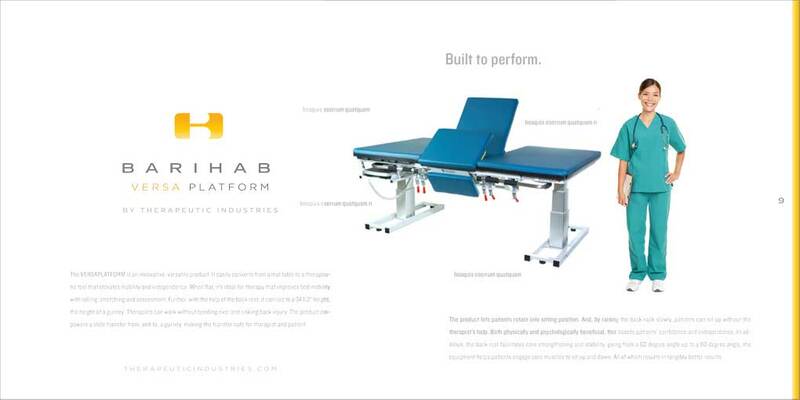 We helped demonstrate how the company’s patented physical therapy equipment was like nothing else on the market, innovating a new sit-to-stand engineering that was reimagining the category. And how the company was an innovator in an industry whose complacent competitors commanded sizable market share despite their antiquated “mat table-only” equipment. 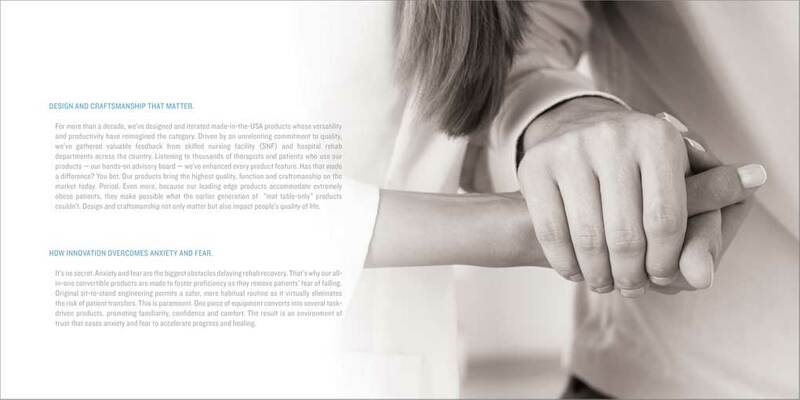 We employed visually stunning imagery that featured the products’ peerless craftsmanship and innovation; we also conveyed how the products’ technology gave patients the comfort and confidence to progress while protecting therapists from injury due to dangerous patient transfers, and helped administrators with lower insurance premiums and better patient outcomes. Future executions could include a site content update, video, and industry white paper.